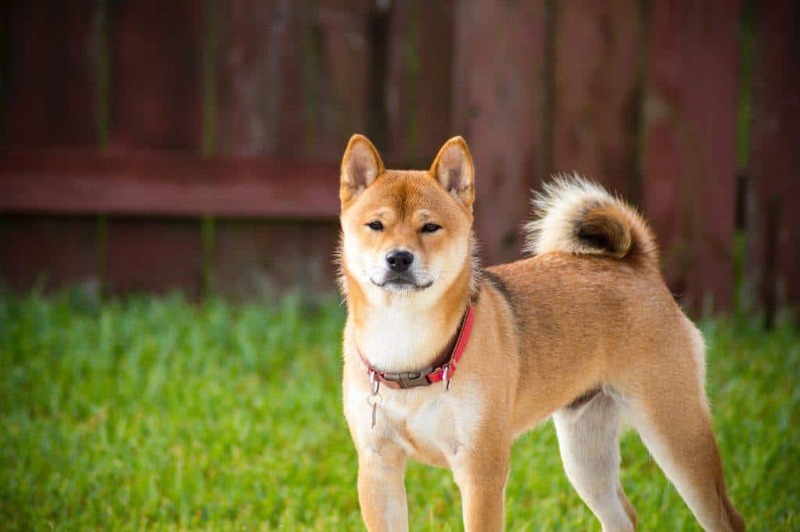 Many large dog breeds make wonderful pets and a lot of love, but they also present several unique challenges for their owners. Big dog breeds not only need a suitable diet, comprehensive obedience training and competent veterinary care, they also require owners have the tools, time and dedication to provide them with the quality of life they deserve. Below, we’ll provide you with everything you need to know to be completely prepared to care for one of these large or giant dog breeds. We have a lot of ground to cover, so let’s get started! What is a Large Dog Breed? Why Were Big Dog Breeds Developed? Before going further, it is important that we define “large dog breeds,” as this category can mean different things to different people. Some people may consider a 50-pound husky to be “big,” while others may think that the term only applies to Great Danes and other big dogs topping the 150-pound mark. Ultimately, any definition of “big dogs” is somewhat arbitrary, but, for our purposes, we’ll consider big dogs to be those with a body weight between 50 and 90 pounds. We’d consider dogs in excess of 90 pounds to be “giant” breeds, but don’t worry – we’ll still cover them here. Large dogs have been around for nearly as long as humans have been living alongside domestic canines, and they’ve been developed for a variety of different purposes. Many were developed to perform physical work, such as pulling carts or driving cattle. Others were tasked with tracking or hunting large game, and still, others were used to find valuable items, protect their owners or retrieve downed birds. But there is one consistent adaptation all of these dogs shared: They all attained fairly large body size. Most have large, muscular frames and sturdy bones, which would allow them to carry out these jobs with ease. Many large dog breeds were also bred to be physically intimidating, although most are exceptionally gentle and loving with their families. Because most dog owners in the developed world keep their canines as family pets, relatively few continue to perform physically demanding tasks. However, they still possess most of the characteristics that were desired by the original breeders. By definition, big breeds are hefty animals. However, most also exhibit a number of other traits that are common to members of the size class. A few of the most noteworthy big dog traits are detailed below. Large dogs take several years to reach maturity. Don’t be surprised to find that your big dog may weigh as much as you do, but still act like a puppy. Most large dog breeds are playful, clumsy, and energetic until they reach 2 to 3 years of age. Many retain this youthful exuberance for even longer than this. In fact, some don’t calm down until they are 5 or 6 years old. Unfortunately, big breeds are susceptible to a variety of health problems that can reduce their lifespan significantly. 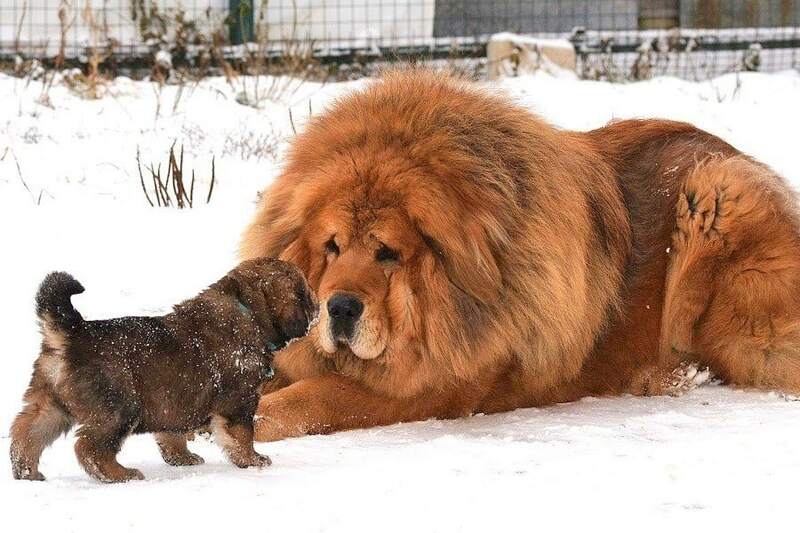 In fact, few large breeds live as long as small breeds. Whereas Chihuahuas, terriers and many other small breeds routinely reach 13 to 15 years of age, relatively few see their tenth birthday. Many large breeds are moderate to heavy shedders, and thanks to their large size, they have plenty of hair to shed. This means you’ll probably have to learn to deal with a house full of hair several times a year. This isn’t necessarily a problem for all owners, but those who prefer a neat-and-tidy home may want to select a dog breed that sheds relatively little. But if you have your heart set on a German Shepherd, Labrador Retriever or other breed that sheds heavily, you may want to purchase a de-shedding tool, which will help keep your home tidy. While there is plenty of variation in the personalities of various large dog breeds, the majority of big breeds have gentle, loving personalities. In fact, the original breeders of many large breeds deliberately developed these loving personalities when establishing the various breeds. This helped to ensure that these powerful — and often protective — dogs would be safe for their owners. 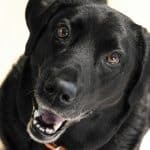 The end result is that most large breeds — including Rottweilers, German shepherds, Labrador retrievers and Mastiffs — are loyal lumps of love with their families. Even though all dog breeds belong to the same species, there are a number of ways in which large dogs differ from their smaller relatives. These differences are reflected in the care they require, specifically as it relates to their diet, exercise, and training, among other things. Many large dog breeds suffer from bone and joint problems as they mature. In some cases, these problems are hereditary, but they can also be caused by an improper diet or environmental factors. Often, these problems arise from a combination of all three factors. Because many large breeds are predisposed to these types of problems, it is imperative that you feed your large dog a high-quality diet. 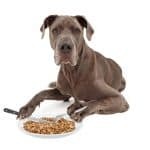 Check out our comprehensive review of the best large breed dog food (or our large breed puppy food review, if your new dog is less than 6 months of age) to learn more about the dietary needs of large dog breeds and to find the best food for your new dog. However, if you just want a quick recommendation, we’d suggest you go with either Blue Buffalo Life Protection Formula or Wellness Natural Complete Large Breed Formula. Both are nutritious, delicious and reasonably priced options, which should help keep your dog healthy and happy for years to come. All dogs require sufficient exercise, but it is especially important for large breeds, given their propensity for packing on the pounds. The exercise needs of different breeds vary, so it is important to adopt an exercise regimen that suits your dog. For example, Huskies have very high exercise requirements, and those who don’t get to run, jump and play for at least an hour each day may develop problematic behaviors. On the other hand, Mastiffs, Basset Hounds, and Chows have relatively low exercise requirements, and they typically get enough exercise from their daily walks. However, it is wise to discuss your dog’s exercise requirements with your vet to avoid causing injuries. This is especially important with large breed puppies, whose bones and joints develop over an extended period of time. If you have trouble getting your dog enough exercise, you may want to invest in a good dog treadmill. Check out our comprehensive review of the subject to learn more about treadmills for dogs, the best ways to use them and a few of the best options on the market. All dogs require knowledge of dog commands, but given their large size, it is especially important for large dog breeds. 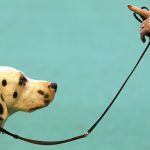 You can train your dog yourself, or you can opt to solicit the help of a professional trainer. It doesn’t matter which option you choose, but it is important that you start at an early age. Most large breeds are capable of learning to sit, lay down or come when called by the time they are about 7 to 8 weeks old. There is no denying that a welcoming a large dog into your family is a huge challenge, but it can also be a remarkably rewarding endeavor that changes your life forever. 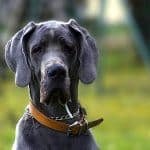 Whether you want a German Shepherd or the Doberman Pinscher to keep your family safe, or you want a low-key condo companion like a Great Dane, you’ll find that big dogs can make your life complete. With proper care and giving them your love and attention, you’ll quickly learn that most large breed dogs are loyal, intelligent, and eager to please. 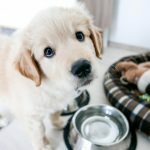 Just be sure that you provide your dog with all of his basic needs, including a high-quality food, plenty of exercise and regular veterinary care, to ensure that he enjoys a long, healthy and happy life. Neapolitan Mastiff, Wirehaired Pointing Griffon and Komondor photos courtesy of Wikipedia.